It’s estimated that 100 million sharks are killed by humans every year. That’s almost 200 sharks per minute. Some fisheries intentionally target sharks, while fisheries that target other species kill millions of sharks as unwanted bycatch. The cruel and wasteful practice of shark finning alone kills up to 73 million sharks every year, only to use less than five percent of the sharks’ bodies. On top of that, government-sponsored shark culls indiscriminately slay sharks and other wildlife in a misguided attempt to protect beachgoers. Sharks have lived on Earth for 450 million years, since long before the dinosaurs, and even before trees! They have survived not one, but four mass extinction events. Now, humans are driving sharks to the brink of extinction with unsustainable catch rates. What we have failed to realize is that by removing sharks from the ocean, we threaten a much wider diversity of life in the ocean. Here’s why sharks matter—to the ocean, and to us. 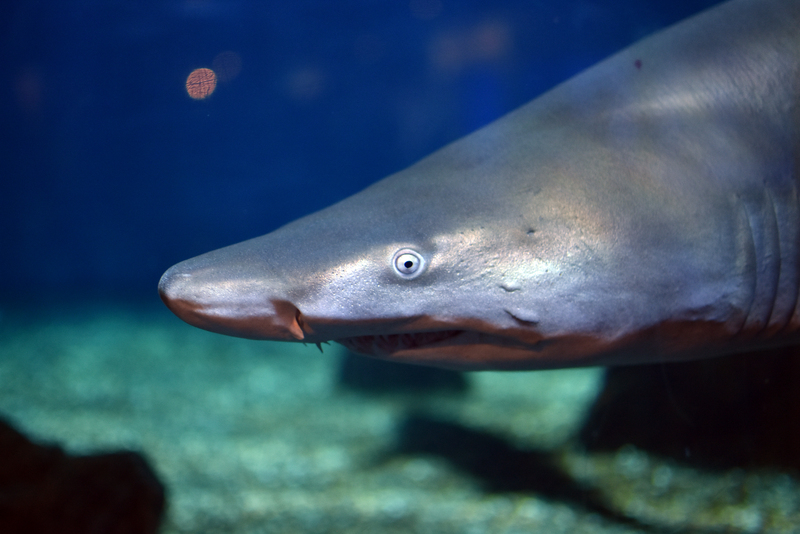 Sharks are the apex predators in marine ecosystems, which means they have few natural predators and feed on animals below them in the food web. Sharks limit the abundance of their prey, which then affects the prey of those animals, and so on throughout the food web. Because sharks directly or indirectly affect all levels of the food web, they help to maintain structure in healthy ocean ecosystems. Sharks affect the behavior and distribution of their prey species through fear. This indirect control on prey species can affect the greater ecosystem. For example, sharks help preserve seagrass meadows by intimidating their prey, turtles, which eat seagrass. When sharks are present, the turtles move around more, grazing over a broad area of seagrass without overgrazing a single area. Without sharks, the turtles graze heavily in few locations and, quickly destroying the highest quality seagrass meadows, which are important habitats for many fish, shellfish, and birds. Coral reefs may also benefit from the protection of sharks, as a recent study shows. The removal of sharks from coral reef ecosystems has been shown to trigger an increase of smaller predators that prey on herbivorous fish. Consequently, herbivore populations decline, and without enough herbivores grazing on algae, algae can quickly overgrow a coral reef. This shift from a coral-dominated reef to an algae-dominated reef reduces biodiversity and decreases the resilience of the reef to disturbances such as coral bleaching and storms. Since sharks support healthy seagrass meadows by preventing overgrazing, sharks play an important role in the carbon cycle. Seagrasses absorb vast amounts of carbon and store it in the plants themselves and in the sediment, preventing greenhouse gases from warming the atmosphere. Sharks store a lot of carbon in their own bodies, too—a study showed that by depleting populations of large animals in the ocean, such as whales and sharks, we have reduced the ocean’s capacity to store carbon by millions of tons. And that means more carbon in the atmosphere, accelerating global warming. In 2011, declared global imports of shark fins totaled over $438 million and global exports of shark meat were worth over $432 million. Together this amounts to $870 million, and that doesn’t include the trade in other shark products such as liver oil, skin, and jaws, which is poorly documented. These profits can’t last, though, as many shark fisheries are driving themselves to collapse with unsustainable catch rates. Sharks in some areas are worth much more alive than dead due to the growing popularity of shark ecotourism. While a single dead reef shark in Palau might sell for about $108, the same live reef shark could bring in nearly $2 million to the tourism industry in its lifetime. Killing a shark for its fins or meat only yields a one-time profit, while a live shark can benefit the local economy repeatedly over its lifetime. While the shark finning industry has been on the decline for the past 10 years, in contrast, shark ecotourism generated more than $314 million in 2013, and that number will likely more than double to $780 million within the next 20 years. A healthy ocean needs sharks. We have to stop this slaughter to rebuild shark populations and restore ocean ecosystems. Here’s what you can do to help save sharks. Pledge to never consume or serve shark fin soup. Contact your government representatives and sign a petition to support a ban on the shark fin trade. Never buy shark cartilage, liver oil, skin, teeth, or jaws. If you choose to eat seafood, make sure it’s sustainable. Educate your community about the importance of protecting sharks. Donate to or volunteer with a reputable shark conservation organization, such as Shark Savers, Project Aware, or Oceana. Read more about marine conservation at my blog, CurrentSea.